It’s a balmy evening on a bustling sidewalk in Rio de Janeiro, and Rabih Beaini is speaking about the concept of cultural crossing points. The Lebanese producer talks of a not-so distant future where the world reaches some form of cultural hybrid, positing that the natural order of the world is developing from old ideas, learning and interpreting from other cultures, and thus constructing new ways of thinking - new art forms. “That’s nothing new – that’s how art has always worked," says Beaini, "But I think with developments in technology – the amazing new forms of communication we have – there is more potential for this kind of crossover and exchange between nations: a hybrid"
It’s an interesting idea, because in general it feels like the world is getting a lot more insular. The narrative last year was largely one that no longer saw globalisation as a good thing: Brexit, Trump, a general rise of the far right in Europe, even locals protesting the excess and waste of the Olympics in Rio. These were all in some shape or form signs of backlash from those who were disaffected – those who felt a global economy hadn’t served them. Meanwhile in the leftie echo chamber, it felt like “cultural misappropriation” was called at every turn and in doing so, in some ways reinforced divisions between people and places. In essentially marking out all aspects of one another’s cultures as untouchable, cultural exchange can be prevented. It was, after all, the year when people sincerely found it offensive that Beyoncé wore Indian clothing in a Coldplay video (so - because of her outfit, rather than her being in a Coldplay video). All of these things are running through my head during my conversation with Beaini, because I think he has a point. At best, I realise the “appropriation” debate is a necessary one when it’s more of a clarification on being respectful of different cultures, rather than a ban on cultural exchange – because, ultimately, Beaini is right: the global exchange of ideas, particularly in an artistic context, is surely inevitable. We’re at Novas Frequencias, the main festival for exploratory music in South America. For a week in December, Rio plays host to experimental artists from the world over, and in doing so celebrates cultural intersections. It’s a beautiful festival full of strange music that embraces global origins while also defying the expectations these might come with. As festival organiser Chico Dub points out, there’s a lazy assumption that a Brazilian producer must be making something heavily inspired by samba. 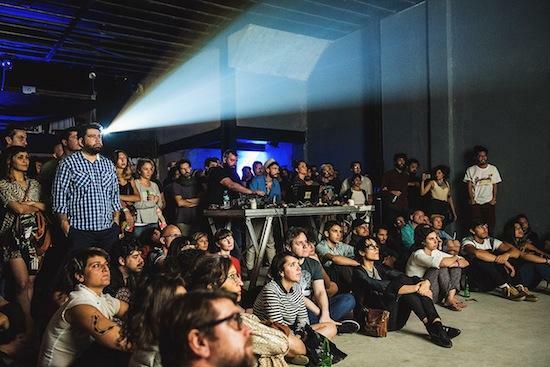 Brazil has noise and techno artists who are up there with the best of them, and with new forms of social networking and technology, it will increasingly be the case that art isn’t just defined by it’s birthplace; that art should be allowed to borrow from around the world. The difficulty here is the danger of orientalising things: of art treating Eurocentric cultures as the norm, and turning everything else into an exotic “other”. It’s why I’m hesitant to entirely call out the “appropriation” debate, because there is definitely something to be wary of in cultural exchange, particularly concerning non-European traditions and rituals. David Byrne once wrote about why he hates the term ‘world music’ - “Exotica is beautiful but irrelevant; they are, by definition, not like us […] It’s a none to subtle way of reasserting the hegemony of Western pop culture” and perhaps that’s the best way of surmising my own reservations. Beaini, who typifies exactly the kind of hybrid he’s been speaking about, has previously exhibited an understanding of the lines surrounding appropriation. When he co-curated Berlin’s CTM Festival, the theme was ‘New Geographies’, and he noted in an interview at the time that he had decided against inviting some of the Indonesian artists he had been particularly impressed by because he felt it would be wrong to take traditional, transformative rituals out of context. Which is why I'm surprised by Rabih’s first performance at Novas Frequencias, when he soundtracks Vincent Moon and Priscilla Telmon’s short film Cosmogonia. They light incense as French filmmaker Moon’s nautical-style outfit makes it seem as though the trio are at the helm of a ship, taking the audience on a mystical journey. And there is a journey here: we’re drawn into the fascinating rituals and striking occurrences on the screen, underpinned mesmerisingly by Beaini’s soundtrack – fittingly darkwave and ominous. There are moments that are undoubtedly quite beautiful to watch – captivating in the way they are captured. However, there’s a part of me that feels uncomfortable with the film – that jarring feeling of the white explorer showing his wacky wares after an expedition into intimate, old rituals from other cultures. It can at points feel invasive, voyeuristic, even patronising to decontextualise these rituals and essentially turn them into some kind of "meaningful" music video. I think that perhaps I’m being a little to quick to find everything #problematic though after I air my concerns about Cosmogonia to Rabih. The artist can understand my perspective, but is confident that Moon’s work is done respectfully – that the filmmaker gives back rather than simply instigating some form of exotic, tourist-y voyeurism. "I've seen other filmmakers working with similar footage to Vincent and they'll just be fast-forwarding through, trying to get a good shot but not really caring or taking it in. Vincent is different – he engages with his subjects." Of course, he has a point – the music world has a lot of problems, and cultural exchange is a particularly nuanced one to be tackling when things as uncomplicated as getting women on your festival line-ups still aren’t being addressed. Possibly the criticism I have of Moon’s work is essentially a problem of anthropology anyway: to a degree, perhaps you have to be etic (an outsider) in order to make salient observations and interactions with a culture. But even with that in mind, the film doesn't sit quite right with me. The inspiration that artists take from other cultures aren't always so obvious or controversial, of course. Take Gil Delindro's visceral performance, Voidness Of Touch. The Portuguese artist - here as part of European platform SHAPE’s showcase - is something of a nomad, often travelling the world alone in his quest to find sounds in inanimate objects. In this particular performance he creates music from stones, water, ice, a string instrument: what unifies these is the excitingly theatrical, sculptural earthiness to what he does. As observers in the audience, it is not instinctive to immediately try and attach his work to a particular place. But speaking to him afterwards, it's interesting how precise Delindro is about the provenance of each element of his performance. The stones are from a volcanic island in the centre of the Atlantic, he tells me, while the string instrument was a gift from a Berber tribe during his time residing in the Sahara. In general he considers his stage to be like a map: he thinks about and thus evokes those places when he performs – even if the audience isn’t aware of it. I wonder if, in some way, this is the kind of crossing point Beaini is talking about: one where we don't have to signpost the involvement of every culture or be apologetic, but rather be quietly, respectfully aware of each culture's inclusion, while creating something wonderful and new out of the mix. Experimental art doesn’t just create wholly new territories out of nowhere, Beaini reasons. Often, these new territories are found by reworking the pre-existing – examining and "taking apart the traditional". This is exactly where Beaini excels. His performance is the closing one of the festival and so, from 3AM, he takes to Fosfobox - a magnificent, grimey sweatbox in Copacabana with opulent smoke machines - and plays a set that is quite glorious. There are elements of his Middle Eastern origins here, with occasionally dissonant, intoxicating trills of melody. But there’s just as much influence evident from European electronic music, with sometimes abrasive, sometimes meditative beats. At times I even hear strange but tantalising hints of Italo-Disco (but possibly this is a caipirinha-fuelled memory). The specifics of what cultures he references in his set don’t really seem the most important talking point, anyway - the sounds he’s creating are making everyone dance exuberantly, and at this stage of the night that’s all that really matters. It’s what Beaini does with his amalgamation of influences that makes his music so special: it’s what he creates through these cultural crossing points. The year ahead is perhaps destined to be tumultuous, and I can’t be alone in worrying that things are set to become even more divided. But we shouldn’t give into the troubling narrative that wants us to fear each other’s cultures and build walls, nor should we subscribe entirely to the almost aggressive need to tribally mark each other’s cultures out as completely off-limits, especially in music and art. 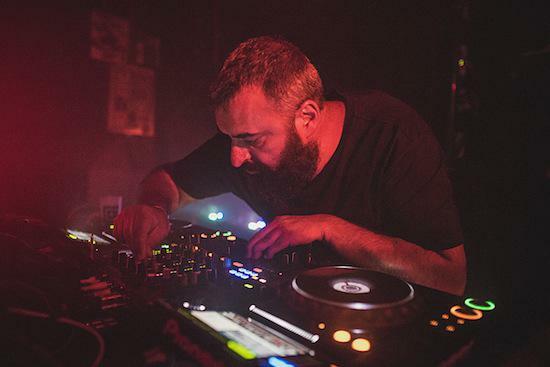 Rabih Beaini’s hybrid of sounds is a reminder of the outstanding things we can create when cultures come together – when we embrace the new geographies of his fourth nation.